Following a period of several months away from the market, the ex-Head of UniCredit FX derivatives, Peter Jerrom, has found a new home at Sigma Broking Ltd, where he will serve as the FX Desk Head for both the buy and sell-side. 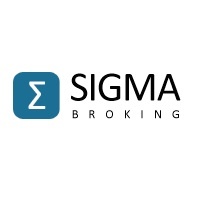 Mr. Jerrom joins Sigma Broking following a successful and lengthy tenure at UniCredit FX, where he served in such roles as Director at UniCredit Bank and Managing Director at UniCredit Investments, both of which saw him responsible for FX derivatives since 2008. Prior to joining UniCredit, Mr. Jerrom also worked in senior level management positions at Lehman Brothers, Barclays Capital and Citigroup. In his newest position, Mr. Jerrom will be based out of London where he will report to Steve Tomlin, the Managing Partner of the broker business – his new duties will entail the oversight and facilitation of both sell and buy-side business on the CME in both Chicago and European markets.